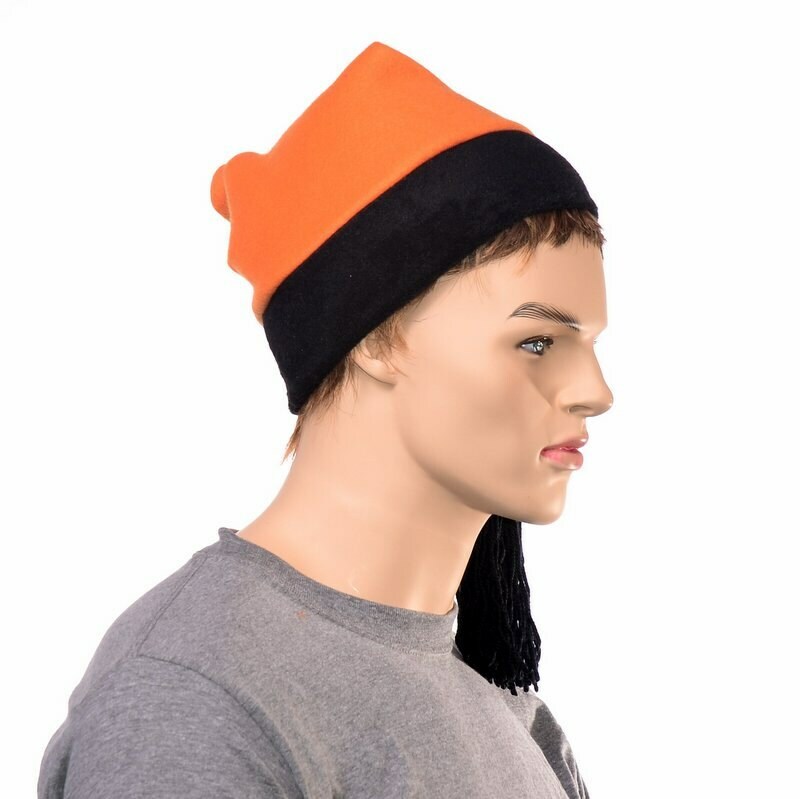 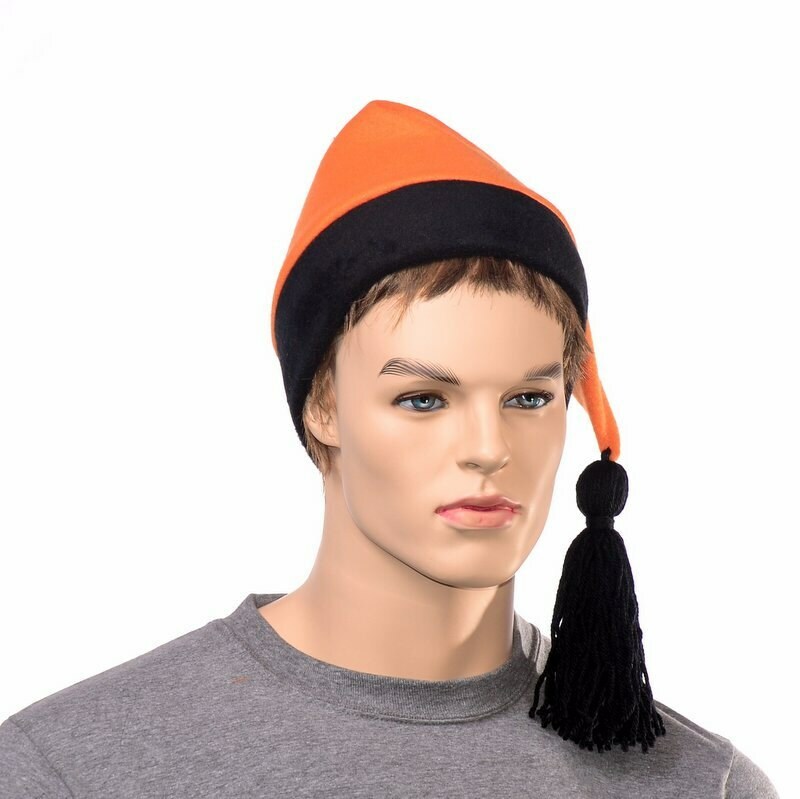 Orange and black stocking cap warm for winter. 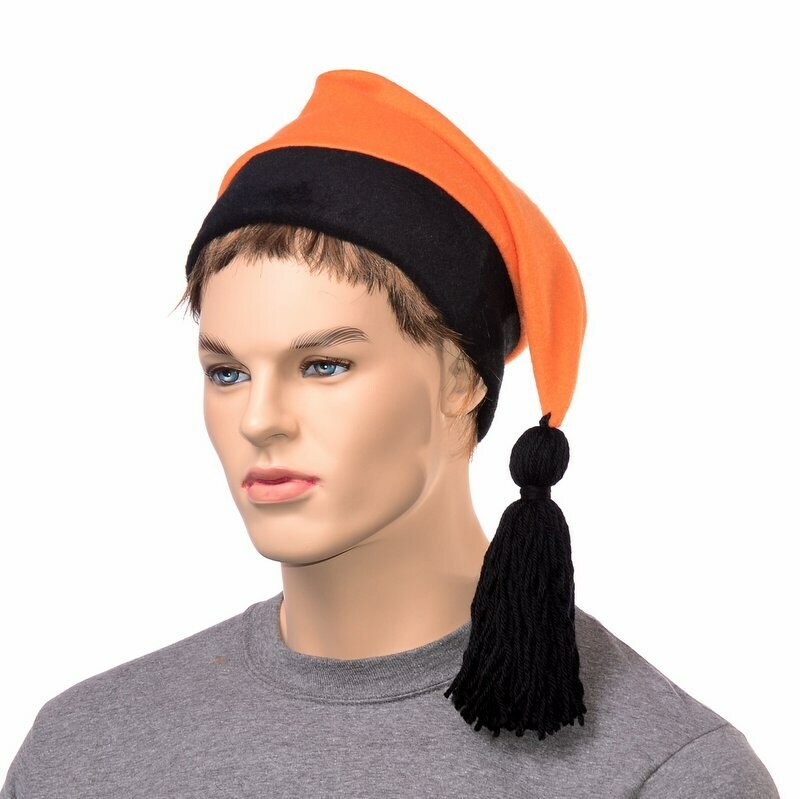 This hat is made of soft fleece. 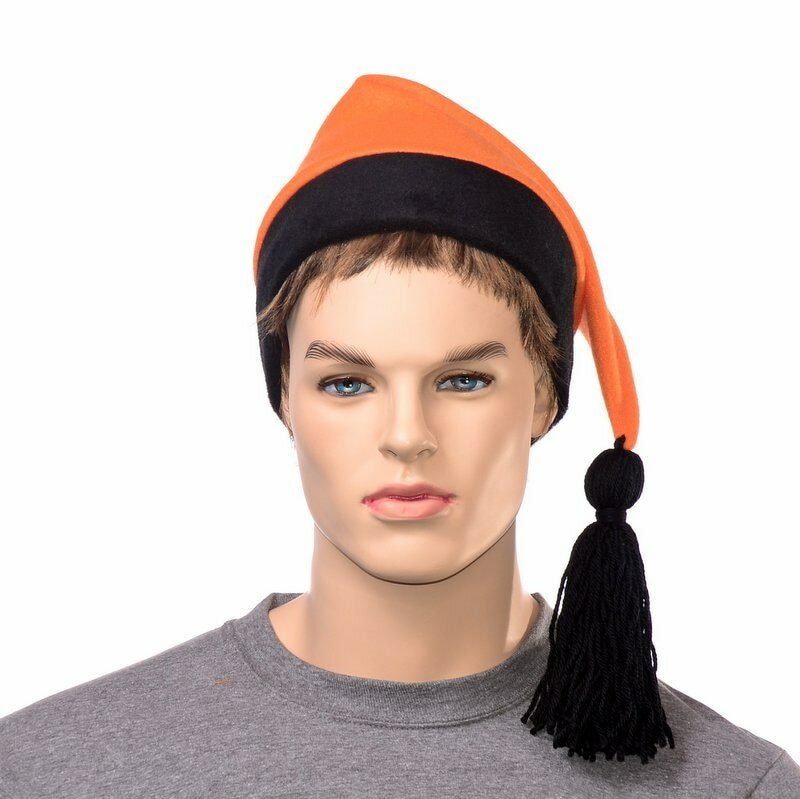 The body of the hat is orange and the headband is black. 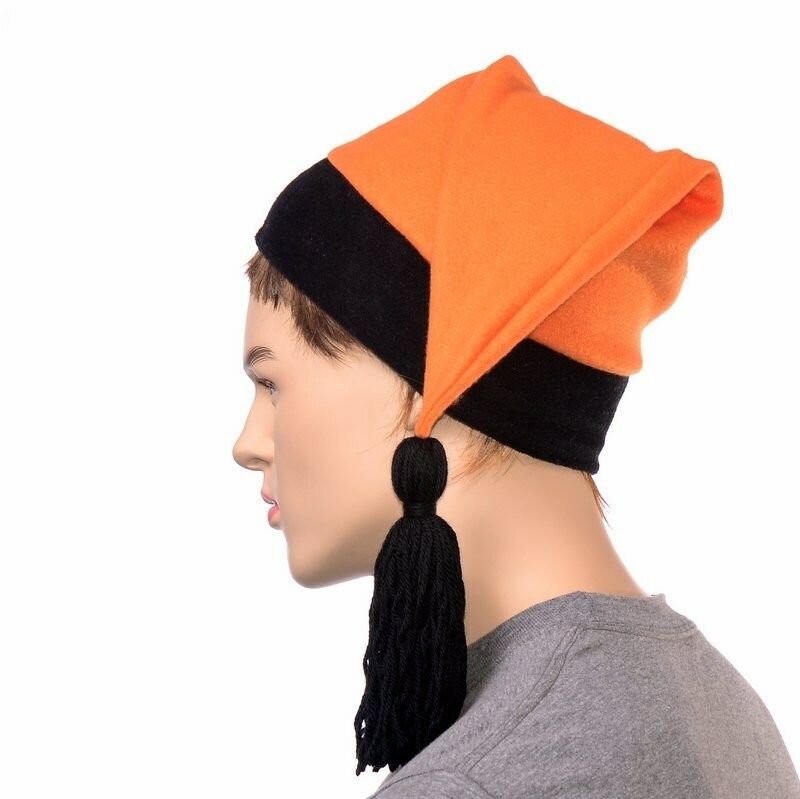 Hand tied tassel dangles off of the tip of the point.